Los Angeles is a huge city with a whole myriad of classic sandwich places to try. If the traffic wasn’t so horrible, I’d be there more often, but as of now, I only go when I know there is a special place to try. 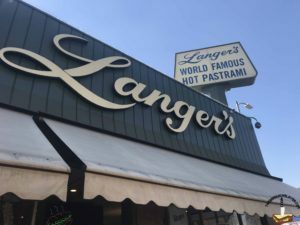 Langer’s Deli has been serving LA since 1947 and boasts what some consider the best Pastrami in the US. Do I have the authority to say that it is? no. But I can tell you it was the best Pastrami that I have ever had. The food is pretty expensive, but like Philippe the Original, it’s a must for any foodie in LA. 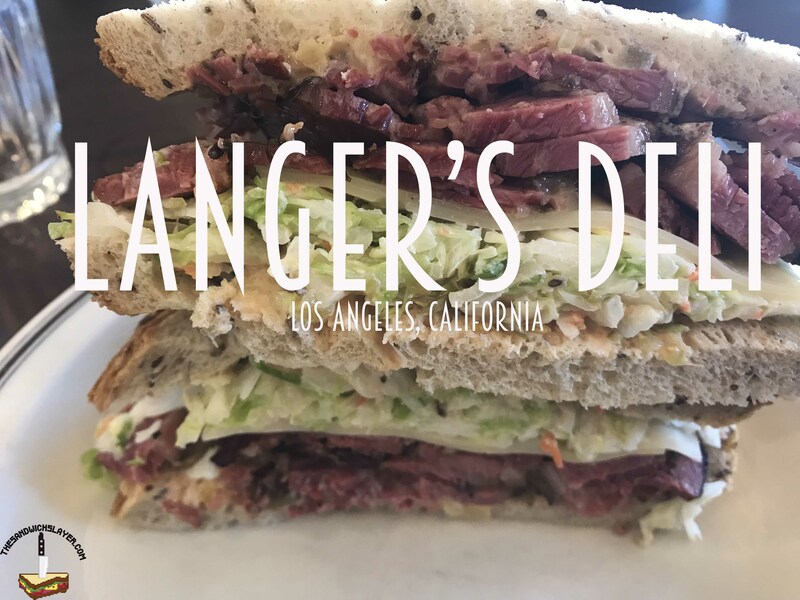 By the way, if you’re not in California, you can actually order Langer’s famous pastrami and they will overnight ship it to you! for a quick bite. Consider taking a little extra time for lunch here, because the wait can get long. I walked in at 11am and the restaurant was full and with good reason. The menu is full of old school deli classics, but it wouldn’t make much sense for me to go to a place known for it’s pastrami and not order it. 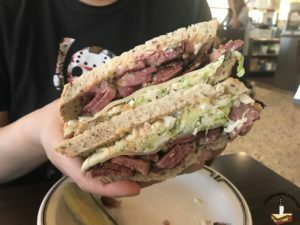 The pastrami really is something special. 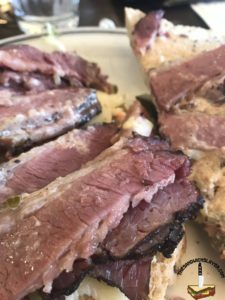 I found that the thick cut of the meat makes for an amazing texture and flavor. I expected the Russian dressing to be a lot more prevalent in the sandwich, but I’m happy to say it wasn’t. A lot of the time, the sauce in a sandwich overpowers all the other ingredients, whereas the dressing in the #19 enhances the meat. It’s a little sweet when mixed with the coleslaw with small bursts of brininess. What really surprised me is the double baked rye bread. I’m normally on the fence about rye bread but Langer’s rye was perfect for the pastrami. It’s got a crispy crust that works so well with the meat. I expected the sandwich to get soggy (most do at the bottom) but the bread was really sturdy. The #19 costs $17.95, but I honestly think it’s worth the price. The portion is pretty large and the quality is undeniable. It’s not a place that I could afford to eat every week, but it definitely is worth a visit once in awhile. Try a knish too, it’s really good. P.S. They Validate parking here! so when you park in their lot be sure to get your parking taken care of.